ARMISTICE DAY: LIVE AT THE DOMAIN, SYDNEY showcases Midnight Oil at their absolute finest, playing iconic hits such as Redneck Wonderland, US Forces, Beds Are Burning, Forgotten Years, Don't Wanna Be The One, Truganini and Power And The Passion. MIDNIGHT OIL 1984 is the story of the sweat-soaked, hardworking rock and roll band whose music galvanised a generation of young Australians and inspired them to believe in the power of music to change the world. Watch the music video for “It Still Matters” from Peter Garrett's solo album A Version of Now. 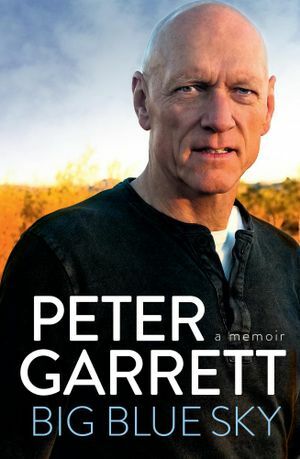 Peter Garrett's New Book "Big Blue Sky"
The provocative, entertaining, impassioned and inspiring memoir of Midnight Oil frontman, environmental activist and politician - a truly remarkable Australian. He writes movingly about his lifelong mission to protect the environment and champion indigenous communities and issues, about his love for his family and his passion for our country: what it means to him and what it can become. Handpicked by the band and distilled from their amazing 25 year recording legacy, this two disc set is a chronological history; a road trip through the very best of the band's 14 studio albums and two groundbreaking EP's. The package features remastered audio, liner notes by Rolling Stone Magazine Senior Editor, David Fricke and rare images from the Oil's archive. 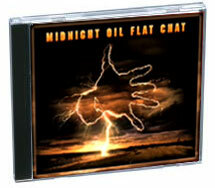 The latest Midnight Oil album is a 'best of' of sorts: a collection of their songs that go 'flat chat' - the great rock and roll numbers they've become known for. "We always tried to make music with words that spoke to the times and with actions that backed up the words, so it's a mighty honour to be inducted into the Hall of Fame after more than 25 years of writing and performing together." 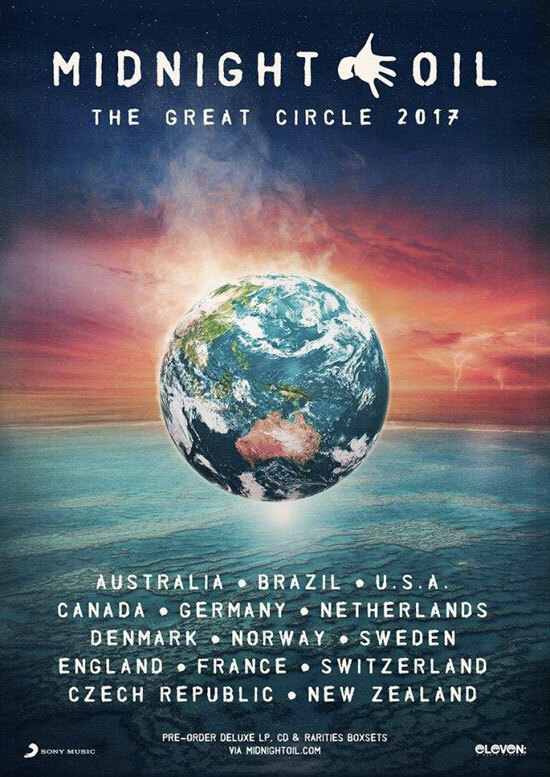 "Midnight Oil is one the greatest rock 'n' roll bands this country has ever produced." Australia Post have released a Midnight Oil stamp featuring the Sprint hand logo in gold on a black background. It is the second Midnight Oil stamp released by Australia Post; a Power and the Passion stamp was released on the 20th March 2001. The new book by author Mark Dodshon was released on 1st November 2004. 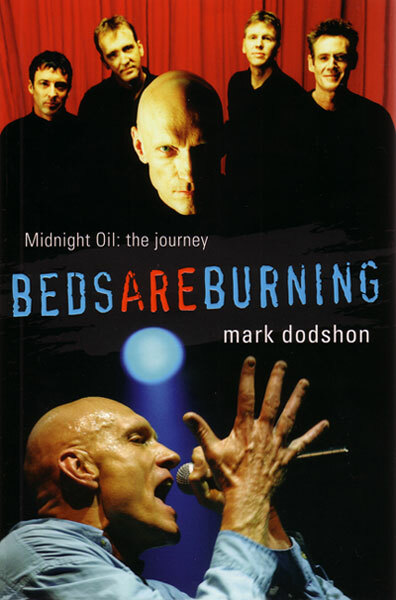 "Mark Dodshon tells the full and frank story of the remarkable career of the band and its members - Peter Garrett, Jim Moginie, Martin Rotsey, Bones Hillman, Rob Hirst and manager 'sixth member' Gary Morris. Far more than a 'rockography', Beds Are Burning is a book about music, sensitivity, culture, relationships - and, above all, integrity and passion."